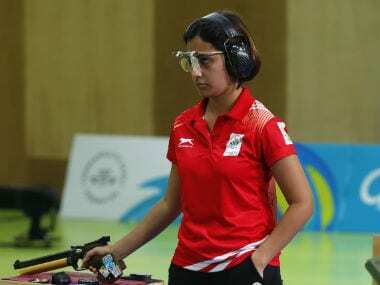 New Delhi: Big guns Manu Bhaker and Heena Sidhu belied expectations and failed to qualify for the final of women's 10m air pistol on a lacklustre day for India in the ISSF World Cup on Tuesday. 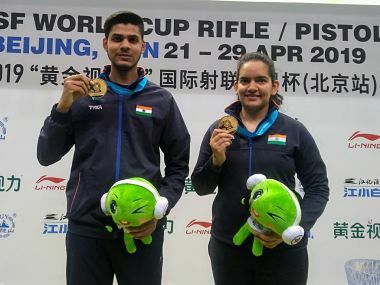 Gaayathri Nityanadam and Sunidhi Chauhan have also failed to qualify for the final in the 50m rifle 3 positions at the Dr Karni Singh Shooting Range. Hoping to make up for her meltdown in the 25m pistol final, the 17-year-old Bhaker was in for more disappointment, finishing a poor 14th with 573 in the qualifications. The more experienced Heena Sidhu suffered a similar fate, as she was placed 25th with 571. Shooting in her maiden World Cup, Anuradha, employed with the Indian Navy, was 22nd with 571. Hungary's Veronika Major (245.1) won the gold medal in 10am air pistol ahead of Taipei's Chia Ying Wu (238.4) and Korean Bomi Kim (218.3). In the day's other event, women's 50m rifle positions, India's Nityanadam was 36th with 1163, while Chauhan was 49th with 1156. Nina Christen from Switzerland won the 50m rifle 3 positions event with a score of 457.1 points, beating silver medallist Shi Mengyao of China and Kazakhstan's bronze winner Yelizaveta Korol. The two Olympic quota places went to Switzerland and the China.